This is the first shoot I’ve done with Pallon where I didn’t style or do hair and make-up haha! 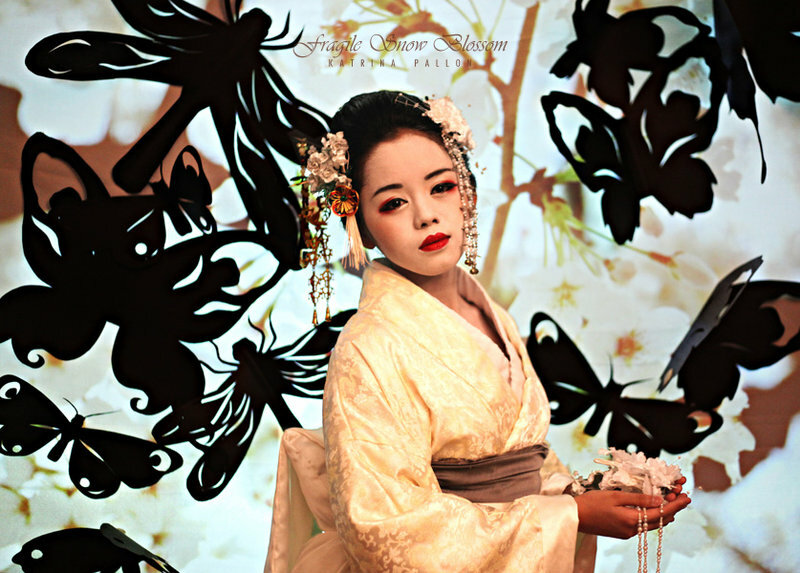 Monique is well-known in the local convention circuit for cosplaying various Geiko and Maiko and the nice thing about having a cosplayer for a model is, they come prepared. Hair and make-up, outfits and accessories (save for the parasol, which was bought for me by my brother from Japan) were all the model’s own. In terms of preparation though, I think this was the most labour-intensive shoot yet. The backdrop took us quite a long time to set-up and I spent the night before making twenty butterfly, dragonfly and moth silhouettes until two in the morning. Pallon and Kevin spent more time than that making the origami flowers. On to the gorgeous photos!